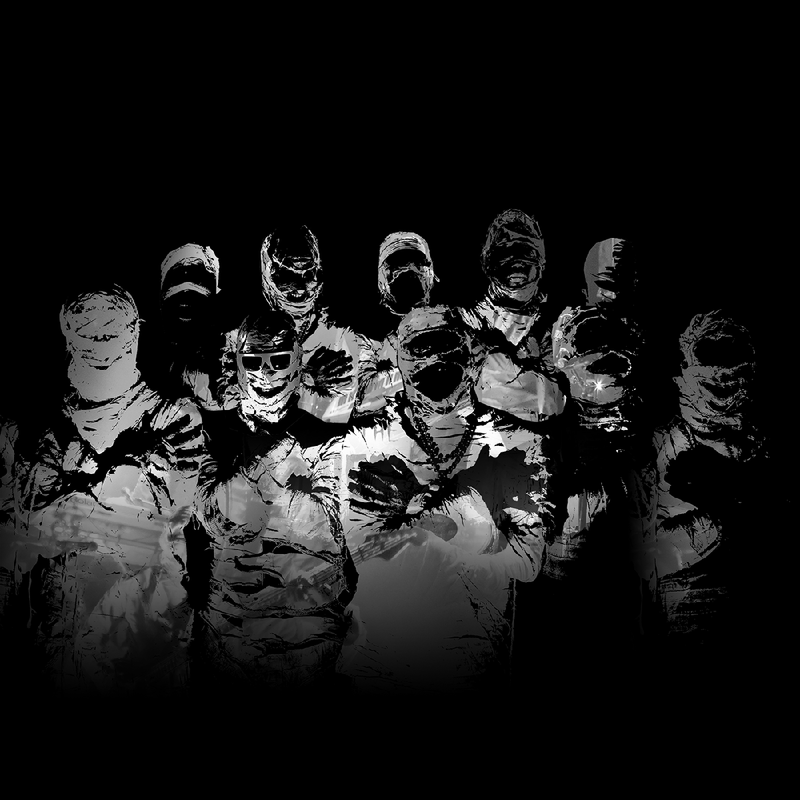 Here Come the Mummies is an eight-piece funk-rock band of 5000 year-old Egyptian Mummies with a one-track mind. Their "Terrifying Funk from Beyond the Grave" is sure to get you into them (and possibly vice versa). Since their discovery HCTM has been direct support for P-Funk, Al Green, Mavis Staples, KC and the Sunshine Band, and Cheap Trick; rocked Super Bowl Village; become a regular on The Bob and Tom Show; played massive festivals like Summer Camp, Common Ground, Voodoo Fest, Musikfest, Suwannee Hulaween, and Riverbend; and sold tickets by the thousands across large swaths of North America. Maybe that’s why the ladies (and some dudes) can’t stop losing their minds over these mayhem-inducing mavens of mirth. Some say they were cursed after deflowering a great Pharaoh’s daughter. Others claim they are reincarnated Grammy-Winning studio musicians. Regardless, HCTM’s mysterious personas, cunning song-craft, and unrelenting live show will bend your brain, and melt your face. 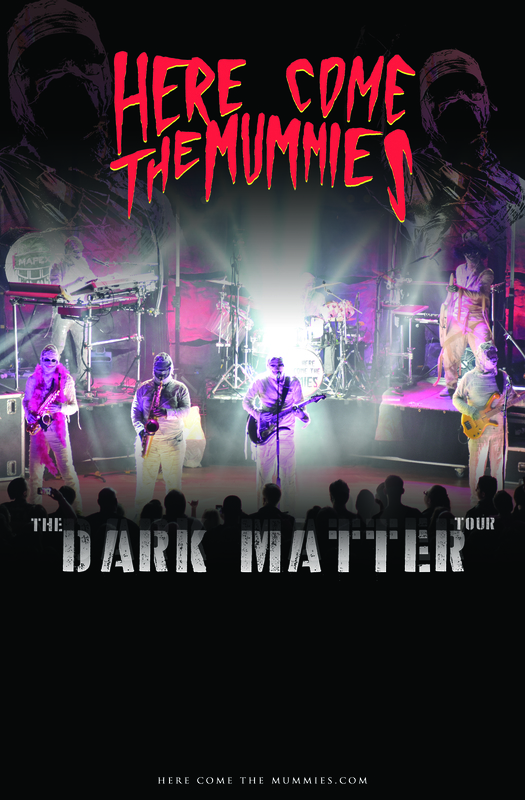 Get ready, for Here Come The Mummies. 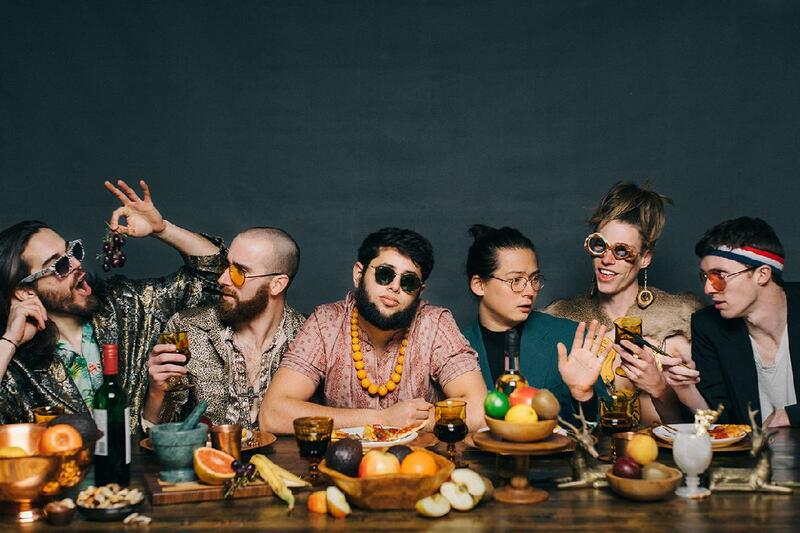 Joe Hertler & The Rainbow Seekers will make a sprightly young groove doctor out of anyone. With spectacular energy pulsating from every member of the band, the Rainbow Seekers could illuminate the very chambers of Heaven. Lead singer Joe Hertler splashes through lyrical puddles of golden rain, leaving his audience wearing flowery crowns and bubbling smiles. A ride on the Rainbow will take you across the mountains of Motown, through the fjords of folk, over the archipelagos of Americana, and-at last-into a funky firth, where only the fiercest of friendships can be found. The Rainbow Seekers began their historic quest 8 years ago, revolving around the pure, unadulterated songwriting of their fearless leader, Joe Hertler. Ryan Hoger was the first among the Seekers to find this lonely songsmith and recognize the twinkling magic in his beard. The young boy gave up all his earthly possessions (besides his guitar, of course) and became the first disciple of the Rainbow. With this, the core of the Rainbow was thereby established, and it didn’t take long for the Rainbow Seekers to continue their expansion. Multi-instrumentalist and notable auxiliary percussion maestro Micah Bracken journeyed from the bowels of Atlantis when he heard tell of the Rainbow, and the earth trembled as saxophonist and all-around badass Aaron Stinson descended from Olympus on a golden rainbow of his own. Then came thunder from the depths of space and as it picked up the bass, a soft exhale escaped the lips of every princess within a hundred moons, “Bambis,” they cooed. All the while, on the other ends of the earth, a young boy was hard at work, honing and sharpening his sticks for the day that the Rainbow would come his way, and when it landed at his door, Ryan McMahon climbed aboard. If you're still reading this, at least one thing is true: The Rainbow Seekers have been waiting for you. If you'll only let them, they will shake the dust from your wildest expectations. They will roar into your life with rapturous frequencies, exuberant tone, and a joyfulness of purpose that has truly become a rare sight on stage. Join them in their celebration, and they will take you on a never-ending journey to a place you'll never be able to describe in words.